San Diego Chef Jason McLeod, who manages all things food at Consortium Holdings and is a partner at the company's Ironside Fish & Oyster and Soda & Swine concepts, will compete on the Food Network hit culinary competition Beat Bobby Flay. 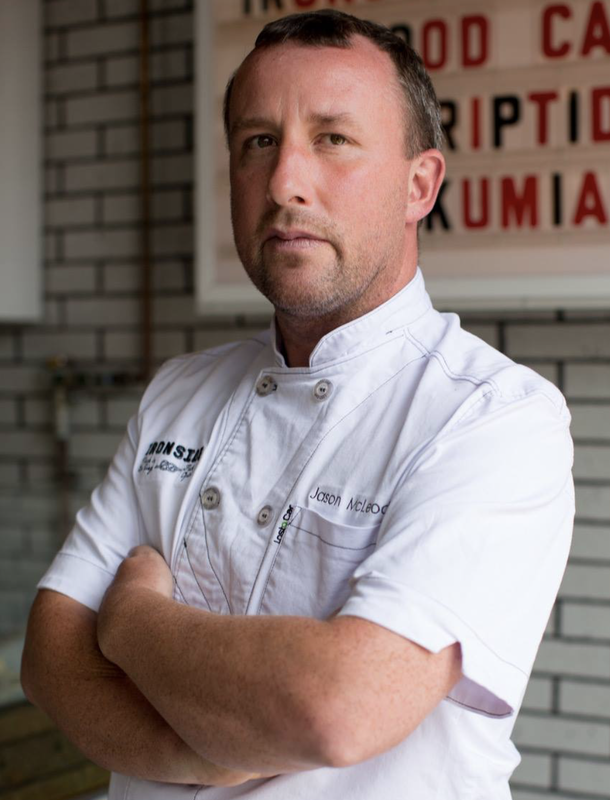 Hailing from the seafood-abundant coastlines of British Colombia, Chef Jason McLeod has nearly three decades of culinary experience under his belt. McLeod spent time in San Diego from 2007 to 2009, serving as executive chef of the Grand Del Mar, but it was in 2011 as the opening Executive Chef for the Chicago’s Ria Restaurant at the Elysian Hotel that he came to the national spotlight by leading the seafood-driven restaurant from near obscurity to receiving two Michelin stars during its first year of operation. McLeod joined San Diego-based Consortium Holdings in Summer 2012, appointed to the position of Executive Chef of the company and tasked to oversee the culinary programs at its restaurants and to assist in future expansion, including opening two locations of Soda & Swine, Underbelly North Park, Ironside Fish & Oyster, and Born & Raised. McLeod will appear on Food Network's Beat Bobby Flay on the Thanksgiving night edition, Season 14 Episode 6 - entitled "Sea Shells by the Sea Shore". Airing on November 23 at 10pm, the episode features Harlem's very own Marcus Samuelsson and Los Angeles' Michael Voltaggio, who will try to overcome celebrity chef icon Bobby Flay with either McLeod or dim sum master Ed Harris of Atlanta, GA. Chef McLeod is the most recent San Diego chef to compete on Beat Bobby Flay, with Verant Group's Executive Chef Kevin Templeton appearing in August 2016 and former Cohn Restaurant Group Corporate Chef Katherine Humphus going up against the master in April 2015.